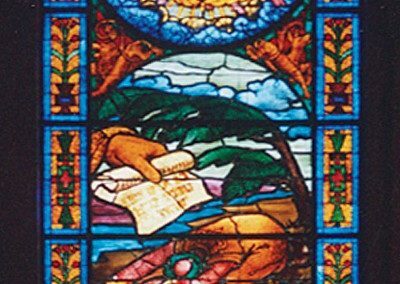 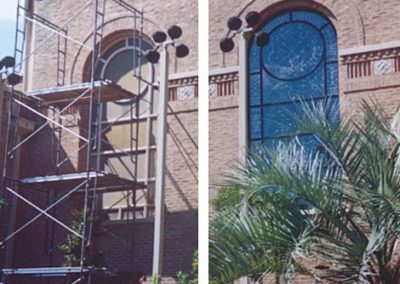 To restore nine notable stained glass windows containing more than 140 separate panels, and to address the deteriorated frames and storm glass for the Byzantine Revival Temple Emanuel in Beaumont, Texas, designed by Albert S. Gottleib in the 1920s. 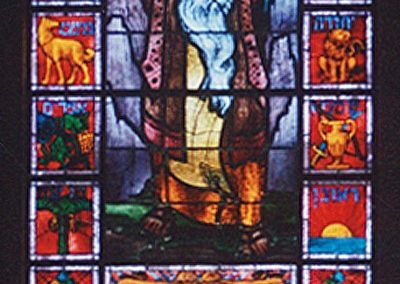 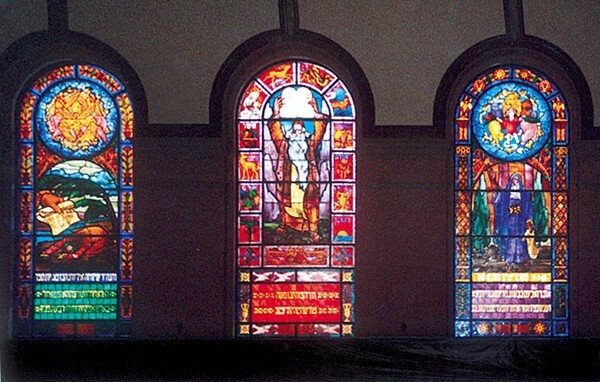 The stained glass was designed by the noted Jewish artist Ze’ev Raban, and it includes six large windows (6′ x 15′) representing Jeremiah, Elijah, Elisha, Isaiah, Moses and Ezekial, as well as three smaller ones. 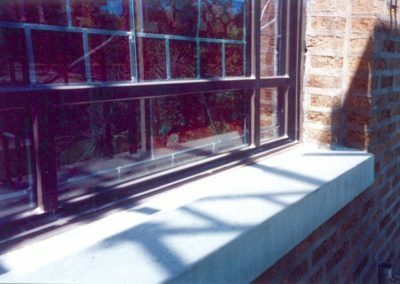 CSS provided written and photographic documentation onsite and in the Studio, recording the condition and treatment of the historic glass. 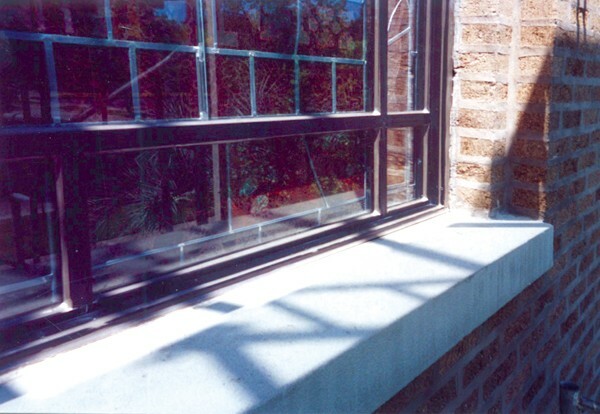 Areas of the panels that had been poorly replaced during a previous restoration campaign were addressed. 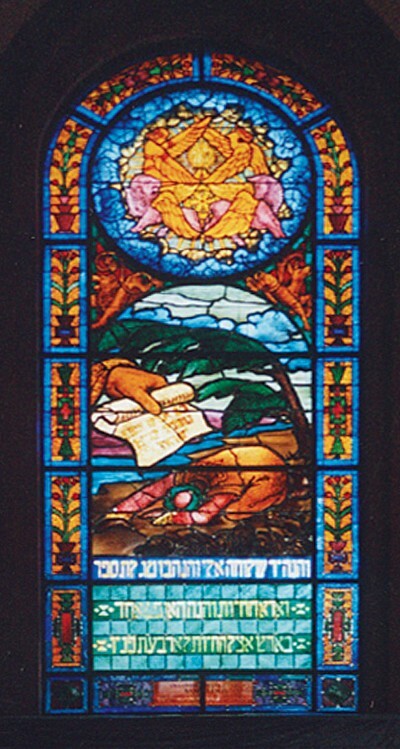 CSS master craftsmen conserved and re-leaded the stained glass, replicating the unique glass painting techniques of the original artist for the pieces of glass that were beyond repair. 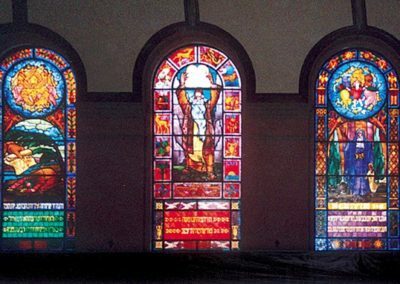 New, maintenance-free double glazing frames that accommodate both the stained glass and the protective glazing were fabricated without modifying the glass in any way, and with sensitivity to the architectural integrity of the landmark building. 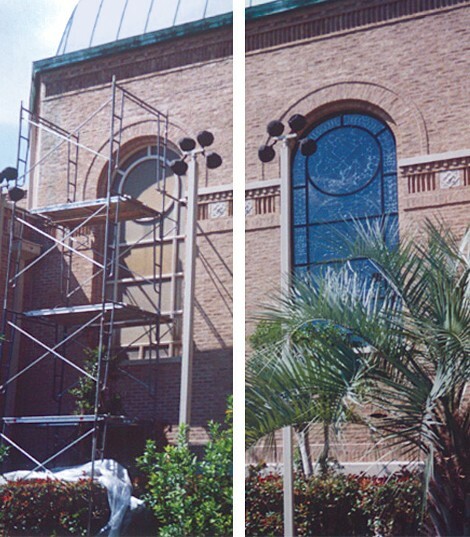 The clouded, yellowed lexan coverings were replaced with clear safety laminate glass, allowing the glass to sparkle with renewal from the exterior as well as the interior.